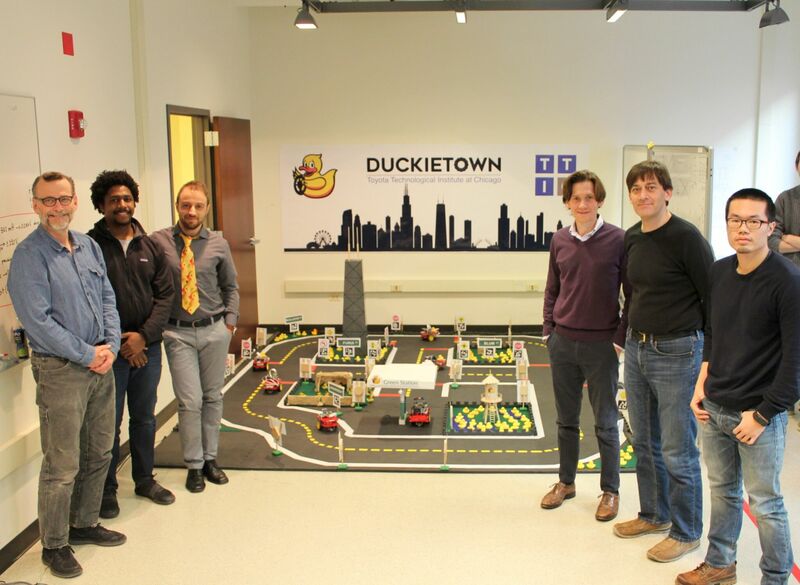 Duckietown is a robotics educations and outreach effort. Born at MIT in 2016 as a course focusing on self-driving vehicles and high-level autonomy, it became an international effort in 2017 with more than 10 universities involved in 4 continents, including TTIC. 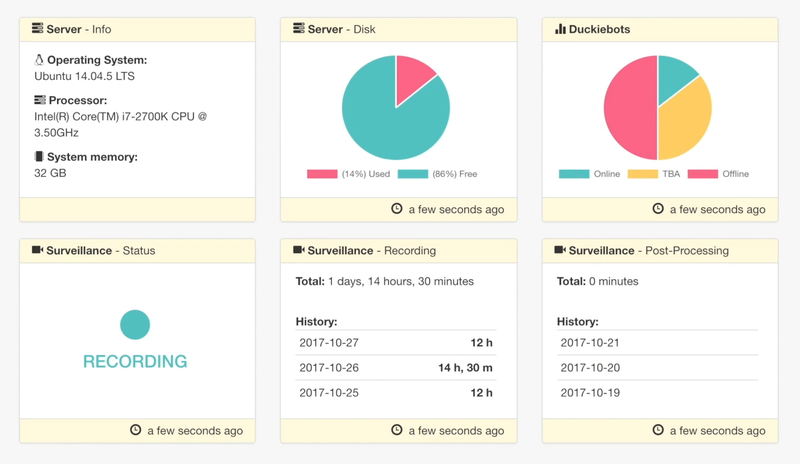 I started developing the Duckietown Dashboard (Duckieboard, of course) in November 2017. 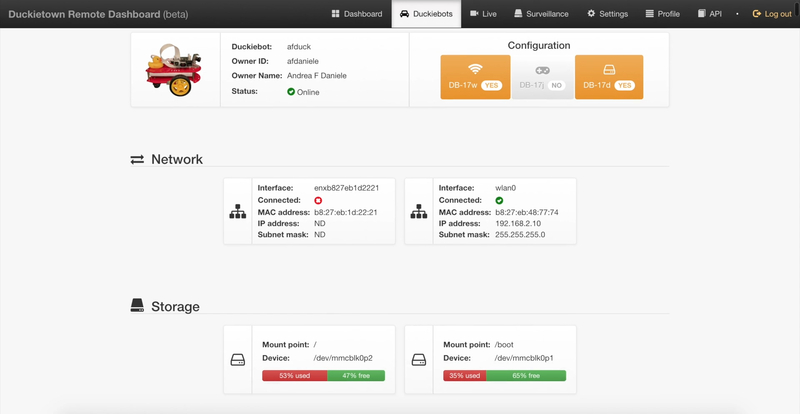 After two months of development, I decided to separate the codebase in two parts: one containing all the functionalities common to any web-based CMS, and another one containing those that were specific for Duckietown. 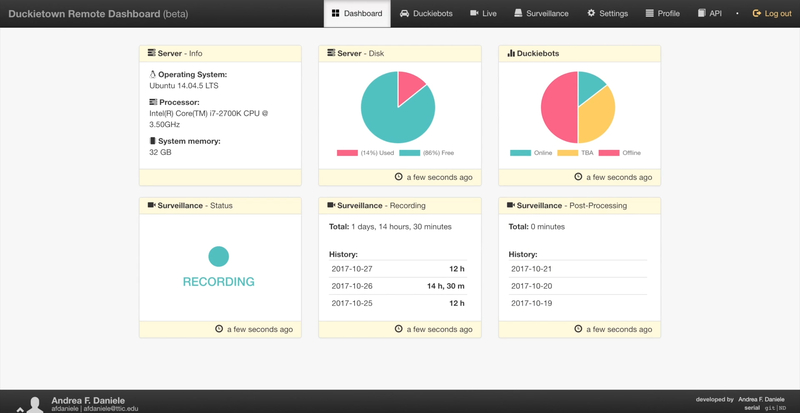 The common libraries developed for supporting the Duckieboard later became \compose\, an open-source web-based CMS platform that provides all the funcionalities for the fast development and deployment of web applications. \compose\ is actively maintained and available on GitHub.com. 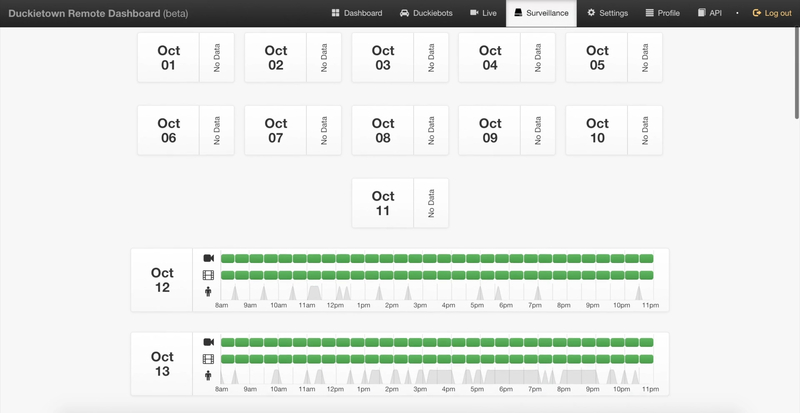 Today, Duckieboard is an open-source package installable on any instance of the \compose\ platform. This is a wormhole to the GitHub repository containing the code for the \compose\ package that implements the Duckieboard. 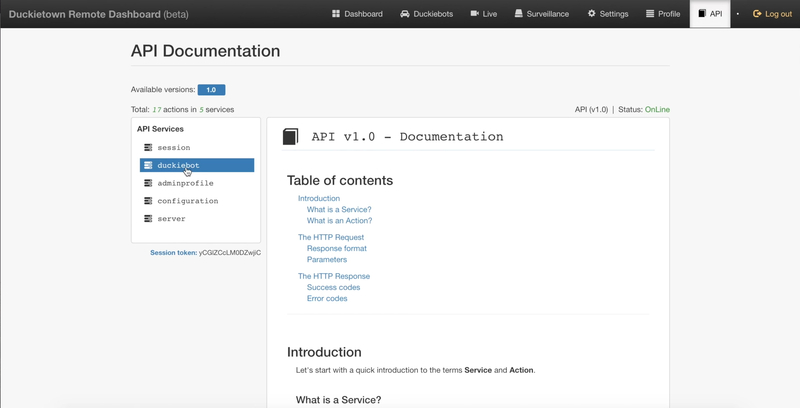 For a better experience, visit the repository on the official GitHub repository. The code is released under the GNU GPL v3 license. Feel free to copy, extend, contribute, and redistribute the code. 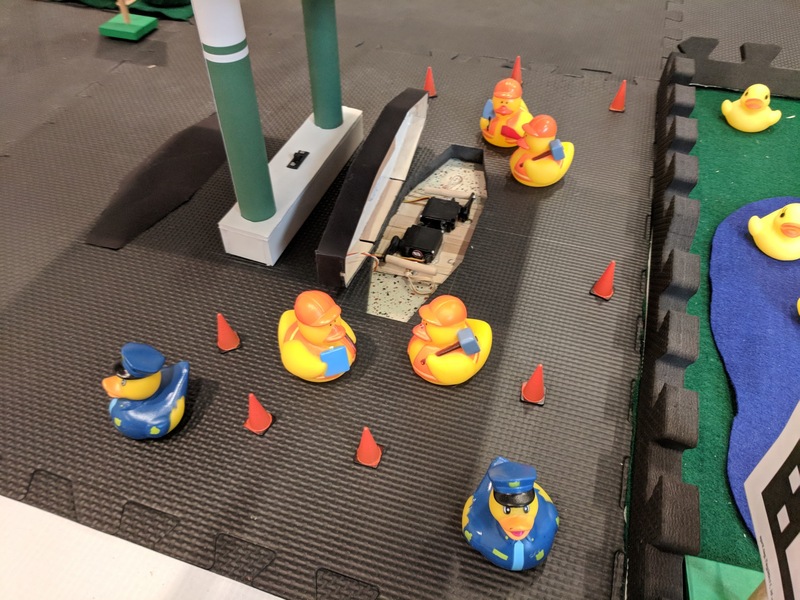 Code hosted on github.com at https://github.com/afdaniele/compose-pkg-duckietown. 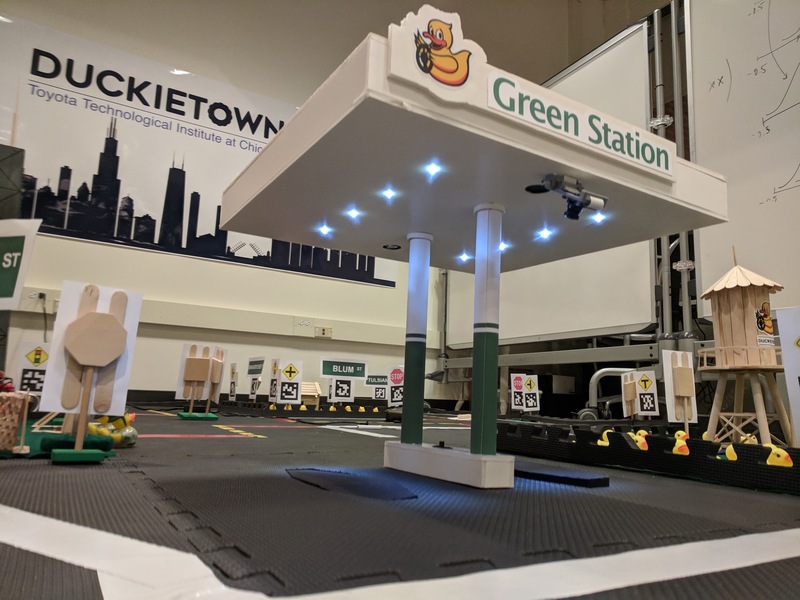 The Duckietown Green Station is a smart charging station for Duckiebot. 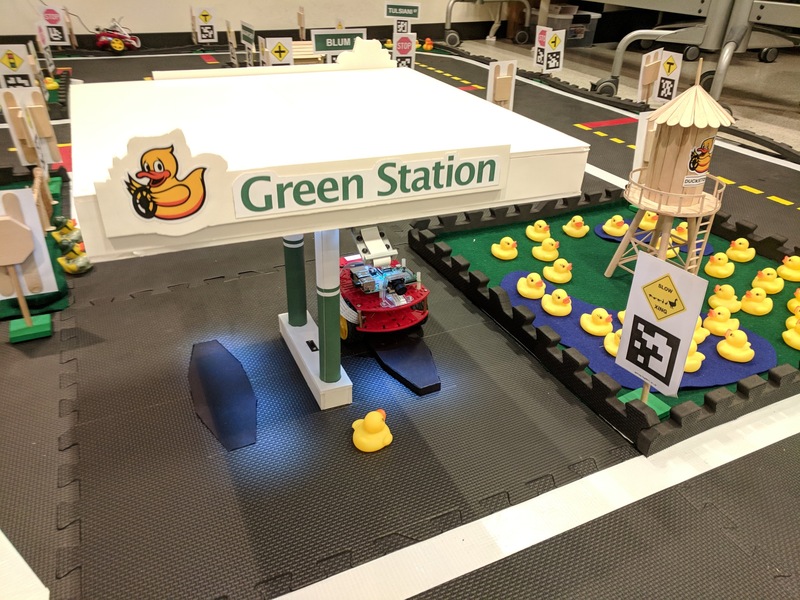 It might remind you of a classic gas station, but in reality, the Green Station employs wireless charging technology to refill the battery of the robots in Duckietown. A motorized platform coming out of the ground when a robot approaches the charging station allows the robots to safely dock to the station while correctly aligning transmitter and receiver for high performances. 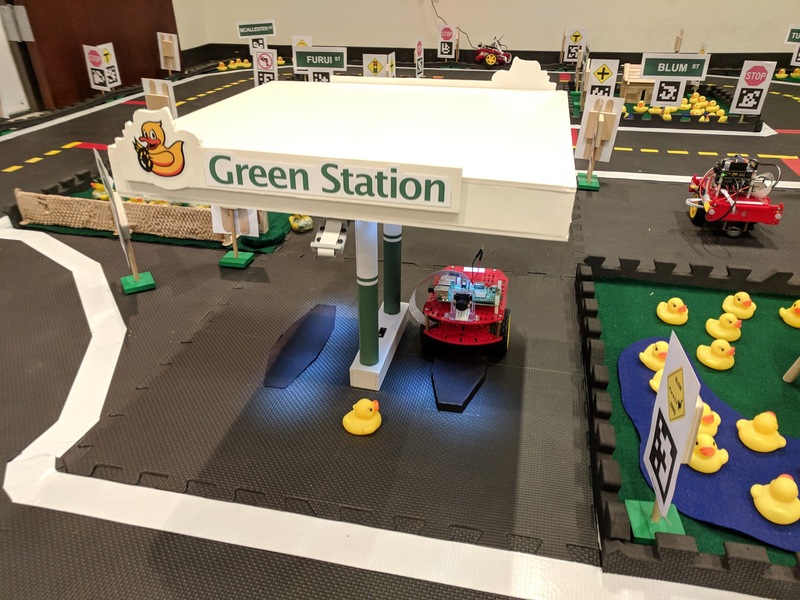 The Green Station is powered by a dedicated computer hidden inside the canopy that autonomously controls the motorized charging platforms and coordinates with the robots in the town. 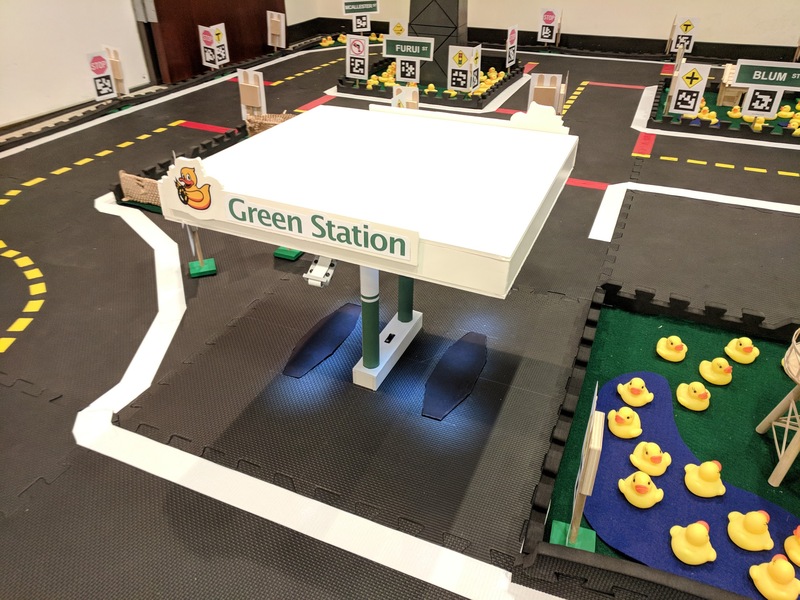 I designed and built the prototype of the Green Station in December 2017 while working as Teaching Assistant (TA) for the course TTIC 31240 - Self-driving Vehicles: Models and Algorithms for Autonomy taught by Prof. Matthew Walter at TTIC. Check out the video and the images below for further details.